Picture this: Your child has debilitating health problems; you’re required to travel several states away to seek treatment while struggling to figure out how to make ends meet for all the impending pre-op, post-op and other expenses. Enter Richmond’s Lynda Reider, who felt compelled to help a local family – Harlie Holton and her parents – during their struggle. 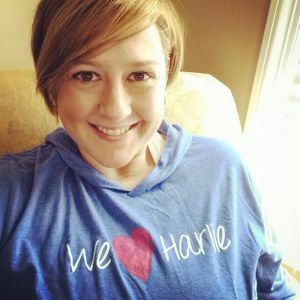 The fundraising effort turned into a nonprofit, We Heart Harlie. 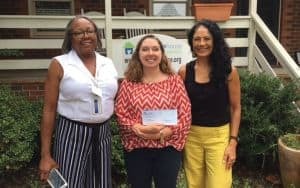 As Lynda began noticing other families facing the same needs, the organization became We Heart Harlie and Friends, and its reputation for doing good in RVA grew. Lynda’s energy pulls from a bottomless well. 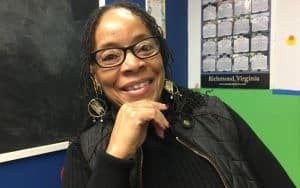 The mother of twins runs her own business, volunteers at school and is an on-again-off-again fitness instructor, Girl Scout leader and church leader. She also squeaks out a chunk of her crammed schedule for this heartwarming organization, so I was lucky we were able to sync our calendars and share a latte. I was inspired at her selfless enthusiasm as we spoke. 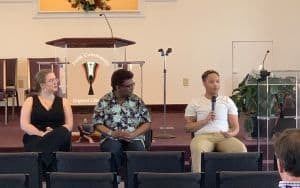 It started with a 5k – one she admits was poorly planned, looking back on it; she wasn’t even sure they had the proper legal permits to host the event. But it worked. Not only did kids and families come out, walk a few miles, wear matching T-shirts and donate a few dollars, but the momentum for this movement began to build. People started to come forward with the same selfless willingness to pitch in, offering up whatever they could to make it all happen. Each year the walk has grown, and last year their fundraiser helped “friend” Abby’s family make a down payment for a wheelchair-accessible minivan. They’d been struggling to get Abby in and out of the car, and this improvement had an incredible impact on things as mundane as going to the grocery store and getting to appointments. A striking realization – at least for me – was that their work helps keep these families together. Hospital visits and treatments can break down the family dynamic of something many of us take for granted, like sitting down at a shared dinner table on a regular basis, and the nonprofit’s efforts can help to lessen that impact. One story really hit home with me. Lynda realized that Harlie’s family had never had the time or resources to take a vacation – something that most families take for granted, and something that every family needs, especially this family that had endured so much. She made a few phone calls, her friends networked a bit, and within a matter of days enough funds were raised to send the entire family to Walt Disney World. This tale adds a glimmer of understanding to just how much love and elbow grease it takes to help these families.